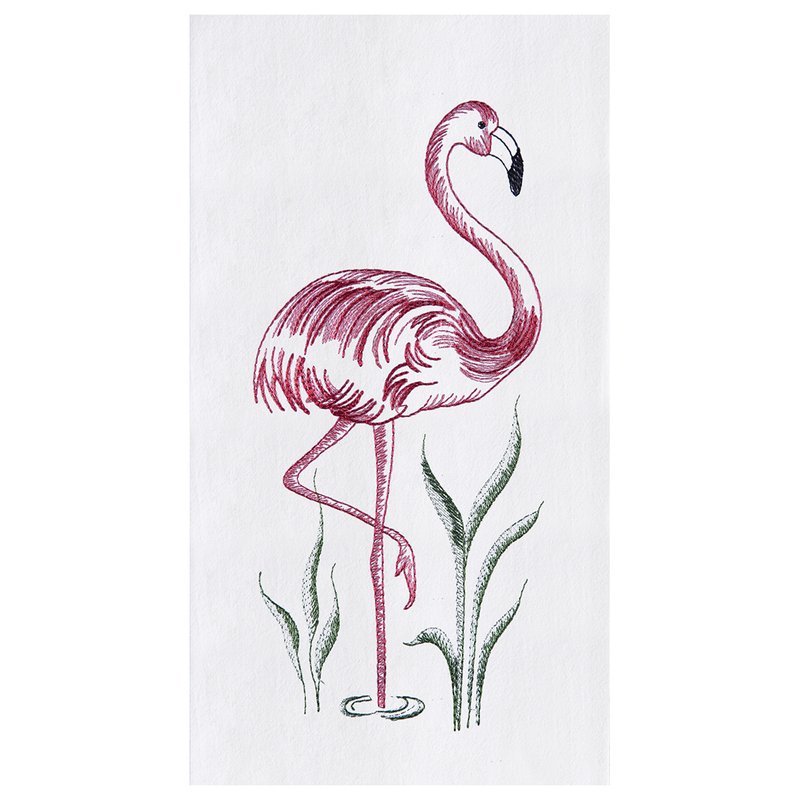 Showcase your tropical style with this Set of 12 Flamingo Flour Sack Kitchen Towels. This coastal kitchen decor is designed with adorable embroidered pink and black flamingos standing among sea grass. Ships from the manufacturer. Allow 1 to 2 weeks. Cannot express ship. For many more products, we invite you to take the time to browse our entire assortment of coastal kitcen decor at Bella Coastal Decor today.